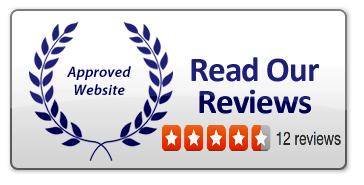 Air Conditioning Excellence, Inc., is an American Standard Heating & Air Conditioning Contractor trained to service and provide installation of American Standard Heating & Air Conditioning Systems in South Florida and surrounding areas. We are an authorized seller who can also do specialized design, and service Multi AC systems from American Standard Heating & Air Conditioning. 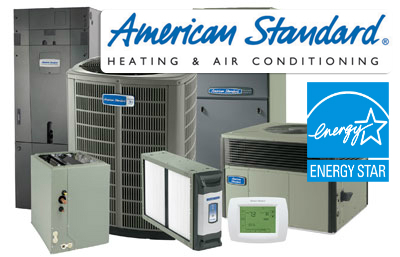 American Standard Heating & Air Conditioning has been transforming and perfecting the way we live indoors. From developing our industry-leading central air conditioning and central heating products to building our extensive network of independent dealers, we work hard to make sure that you can celebrate the indoors all year round. Why should I consider American Standard Heating & Air Conditioning equipment? American Standard Heating & Air Conditioning offers an array of high-performing and high-quality HVAC systems that work smarter to manage your home energy consumption and help to reduce your electric bill and natural gas, propane and oil costs. Many factors can influence the potential savings on your energy usage, including efficiency rating, lifestyle and having the right-sized system for your home. The right size means everything. An American Standard Heating & Air Conditioning Dealer will help you select a system that is the right size for you home, so you don’t end up paying to heat and cool space that isn’t there.We’ll also ensure that your HVAC system is installed properly, so you can depend on the highest efficiency possible from your system and learn how to lower your gas bill and save on heating oil, natural gas and propane. R-values tell you the insulation’s resistance to heat flow; the higher the R-value, the more resistant. Insulation with higher R-values can help decrease the system size you’ll need for your home. Lower R-values may mean that the capacity of your system has to be increased in order to keep your home comfortable. The region where you live will also affect the size of your heating and air conditioning system. For example, the same size home located in the southern half of the United States will require a larger capacity air conditioning system than a similar home in the northern half of the United States. When properly designed and installed, a duct system can maximize comfort and minimize energy use. If it is time to replace your aging system and you have hot or cold rooms in your house, you may want to consider making duct system improvements at the same time your dealer installs the new system. Install a properly sized duct system with registers and grilles that deliver air quietly and evenly. American Standard Heating & Air Conditioning Systems 5 Star Contractor Get FREE Quote! American Standard Heating & Air conditioners and heaters are built to give you many years of reliable and energy efficient operation. Get Your FREE American Standard Heating & Air Conditioning Quote NOW!